Jeremy Maurice Jacobs, Sr. was born on the 21st January 1940 in Buffalo, New York State USA, to Jewish-Polish immigrants. He is a businessman and executive, but probably best known as an owner of the Boston Bruins and is also a chairman of Delaware North, while Forbes magazine ranks him as 481st richest person in the world. Jacobs’ career started in 1968. Have you ever wondered how rich Jeremy Jacobs is as of early 2017? According to authoritative sources, it has been estimated that Jacobs’ net worth is as high as $4.2 billion, an amount earned through his successful business endeavors. Jeremy Jacobs was born as a son of Genevieve and Louis Jacobs and grew up in New York with his brothers Charles and Marvin. Louis and his two older sons founded the company which sold concessions in theatres and major league ballparks. Jeremy graduated with a Bachelor of Science degree from the State University of New York at Buffalo School of Management, and later went to the Harvard School of Business Advanced Management Program. When his father died in 1968, Jeremy took over the global hospitality and food service company called Delaware North, which operates in the lodging, sporting, airport, gaming and entertainment industries, and is based in Buffalo, New York. Since 1975, Jacobs has owned the National Hockey League’s Boston Bruins, the franchise which won the 2011 Stanley Cup Finals after defeating the Vancouver Canucks in seven games, their first Cup in 39 years. Jeremy owns and manages the TD Garden, home to the Boston Celtics NBA team and the Boston Bruins, and together with John Henry, owner of the Boston Red Sox baseball team and English soccer team Liverpool FC, he co-owns NESN, the New England Sports Network. In recent years, he has relinquished most of his executive and managerial positions to his sons, but retains his position as NHL Chairman of the Board of Governors. Regarding his personal life, Jeremy Jacobs is married to Margaret, and has six children with her. 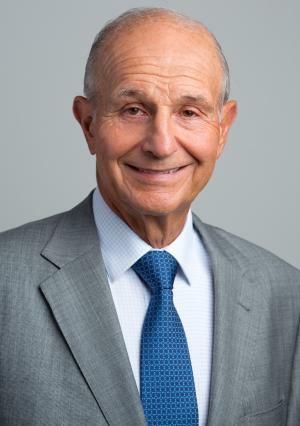 Jeremy Jacobs is a well-known philanthropist, and has donated $1 million to support an endowed chair in immunology at Roswell Park Cancer Institute as of 2007. He and his family also gave $10 million to the University at Buffalo, establishing The Jacobs Institute, which works in research and clinical collaboration on the causes, treatment, and prevention of heart and vascular diseases. His family further donated $30 million to the University at Buffalo’s medical school at the Buffalo Niagara Medical Campus. His politics are uncertain, as he has contributed to the presidential campaigns of George W. Bush, John Kerry, Mitt Romney, Hillary Clinton, Joe Lieberman, and John Edwards.